Home storage A Contemporary Bookcase Can be Sooo Much More than a Bookcase! A contemporary bookcase can be oh sooo much more than a bookcase! Many contemporary bookcases and shelving units are designed not only to provide storage for your book collection but to be attractive, feature pieces of furniture as well. Many come with shelving that form differing spatial configurations to your bookcase for added interest. A bookcase like the Normann Copenhagen Collect (image below) can add a splash of color to your room (if you feel like splashing out on a piece like this!). There is also a practical element to this as it allows for storage of books of various shapes and sizes. You don’t need to confine your use of your bookcase to the storage of books. You can also resevere some sections of shelving for the display of photos or other items. The use of some neat storage boxes will also allow you to store photo’s, CD’s, DVD’s or other small items that can easily become clutter in your home if you don’t have a place to store them. 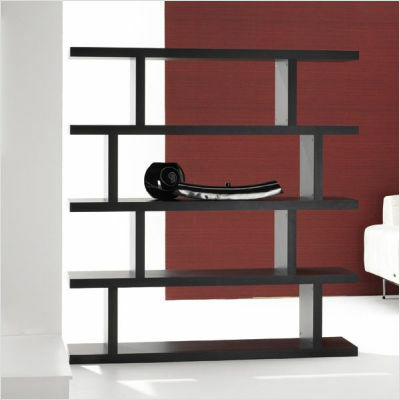 Modern bookcases and shelving units can also serve to divide a room. Whether you have a particularly large room that could benefit from a break in the space or you are trying to make the most limited space without structural work a book case can help. If you want to separate part of a living area, to use as an office for example a bookcase might just be the answer. If you need to make the most of a small living space I would advise you to select a contemporary bookcase that makes best use of the vertical height available to you. If you can’t find one that you like within your budget that is floor to ceiling height, you can always use the top of the book case to hold some extra storage boxes to maximise the use of your space. Just make sure they are not items you need to access regularly!